My life was about the change forever and I didn’t even know it. Almost a year ago today I grabbed my new Cannon camera and asked my husband Tyler to snap a quick photo of me as snow fell down around us. I was infinitely content on that day, nesting and beginning to prepare for the arrival of our first son. I had never felt more beautiful in my life as I did knowing what a blessing my husband and I had been given, and I wanted to capture that lightening in a bottle. Tyler snapped away and we laughed at how much better the photos looked than on our iPhones. It really was one of the first moments photography entered my life, and little did I know it would become a part of a much bigger change in myself than I could have possibly imagined on that day. A few short months later our son, Hudson, was born. Like so many other first time mothers I armed myself with my camera. Between counting his breaths and staring at him while he slept, I began photographing everything I could. I couldn’t imagine a life without this perfect baby boy and there really isn’t quite anything like staring at those ten perfect fingers and those ten perfect toes. I wanted to capture every feeling, every look, every cry, every passing moment of this little man’s life. Never had I felt anything so strongly as the love I felt for him. In so many ways, I owe this journey to Hudson. If not for him I may not have ever picked up a camera. But once I did, I discovered a passion I never even knew I had. I fondly nicknamed myself the Mammarazzi and I was on my way. The more I photographed him, the more I loved it. The more I loved it, the more I shared it. And the the more I shared it, the more the flame started to grow. Family and friends started asking me to take pictures of them, and I gladly obliged. Stepping behind the camera for others gave me the chance to capture the love in other people’s lives, and for that, I am endlessly grateful. My son will never know the gift he has given me. He has given me a new passion. He has given me a quiet confidence that a talent exists in myself. He has given me a purpose. I not only am going on this journey for myself, but also for him. I want to build something that Hudson can look at one day and be proud of. I want to challenge myself in new ways because it is my hope that he will do the same one day. I want to teach him that it is never too late to try something new, that it is never too late to grow in unexpected ways, and it is never too late to create the life that you’ve always dreamed of. After all he has given me in his short time on Earth, everything I do in my life now, I do it with him in mind. So who in your life has given you a gift? Who has inspired you? Who holds your heart? What unexpected journey have you found yourself on? Who would you go to the ends of the Earth for? I’d love to help you hold on to those feelings forever with beautiful images. 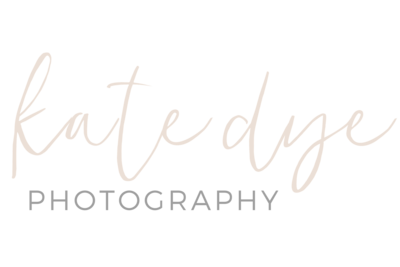 Mention this blog post for 25% off for any session booked on or before February 14 for our grand opening special. Let’s capture it together. Because you never know when your life is going to change forever.